B3 Holdings LLC | Real Estate - Commercial/Residential | Chamber Members | Hemingway District - Oak Park-River Forest Chamber of Commerce, IL ? 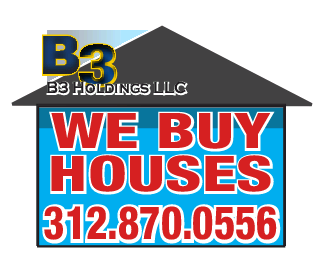 B3 Holdings is a real estate investment and property renovation and improvement specialist based in Oak Park. If you are interested in investing in real estate, we offer the opportunity to become a private investor on our team, an equity partner on our deals, and an exciting chance to learn the real estate business from the inside. Our programs are fully customizable and are tailored to your needs. We touch every part of our community through real estate lending, acquisition, renovation, advertising, homeownership and transaction coaching, small business startup assistance. Would you like to advertise on our web platforms? Would you like to sponsor one of our rehab projects? Do you or your friends and neighbors want to investigate selling their house, but not ready to hire a realtor? Our team can consult with you and provide a market analysis and cost estimate for your house for free within 48 hours. And, we can make you a cash offer on the spot! We want to BUY your house. Not list it! Send us a lead for someone you know about who is thinking about selling...we pay $1000 for referrals on any leads that we purchase!